Just got this email this morning with a personal voucher code for ny account. Worth checking your email to see if you received a similar vouche code. *Terms & Conditions apply. One time use only. Valid for payments made with PayPal. 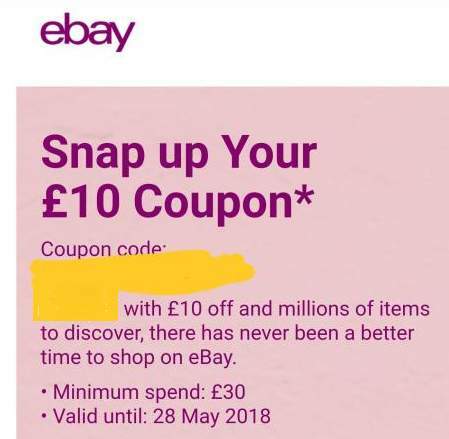 Discount does not apply to postage. Cheers, I never get these deals but my dad has before. Will remind him to check his account. Just check all the other money off account specific ebay posts the answer will be revealed. Hope I get one, got my eye on a Joseph Joseph utensil set. Back up to the wardrobe to check my jeans pockets. Voucher posting newbie! This is SuperRoff first voucher post. Help out by leaving a posting tip or just to show your appreciation for their contribution.